It’s no secret that Google is trying to bring Chrome OS closer to Android, most recently allowing Chromebooks to run Android apps. But now the company is trying to imitate some of Android’s UI in Chrome OS as well. As spotted by Engadget, Google has released a more touch-friendly version of Chrome OS in its latest Canary build (the name for Chrome’s most experimental updates). 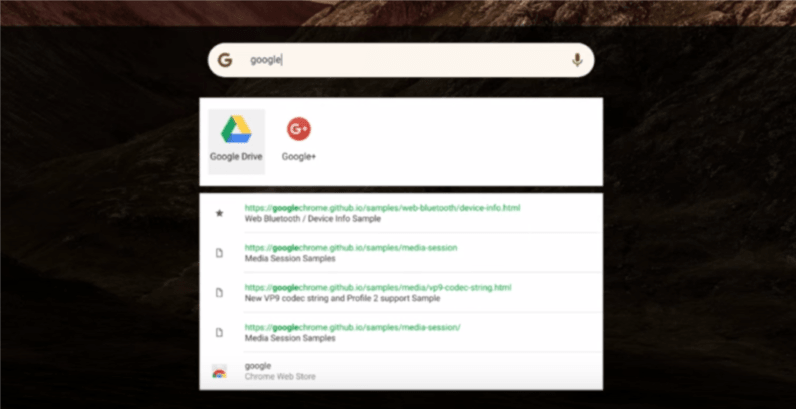 The update primarily consists of a launcher with a search bar that you swipe up to reveal more apps – much like Android – and you can use voice search as well. Though all this is even more experimental than your typical beta, features introduce in Canary builds usually make it over to public builds eventually. Besides, Google has recently been placing a greater emphasis on Chromebooks with touch support, styluses, and convertible hinges, so the update isn’t a huge surprise. The company may have reportedly killed off Andromeda OS – or perhaps it never even really existed – but it’s clear Android and Chrome will become closer yet.